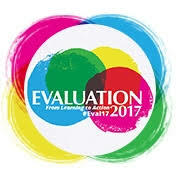 Itad’s Rob Lloyd and Andrew McConnochie are at the American Evaluation Association’s annual conference, where they will be joining in discussions around the conference theme of ‘from learning to action’. At 11am in Madison B room, he will be sharing insights from our impact evaluation of DFID’s Building Capacity for Use of Research Evidence (BCURE) programme. Recognising that capacity building and evidence-informed policy do not lend themselves to mainstream impact evaluation approaches, we applied a realist evaluation design to BCURE – Rob will be reflecting on what we learnt using this approach, what worked, what didn’t and how others might apply this methodology in complex settings. At 3.30pm in the Jefferson room, Rob will be part of a panel discussing Itad’s evaluation of the Bill and Melinda Gates Foundation’s Global Fund Advocacy Portfolio (GFAP). This evaluation used a theory based approach that combined the use of a portfolio level theory of change and contribution analysis. The session will reflect on the value of portfolio level evaluations and the lessons learnt from evaluating advocacy in complex policy making processes. We’re looking forward to a thought-provoking few days at the conference, and if you’re interested in our work then please do come along to the session or find us and say hello.